Runs in both directions approx. once every 20 minutes, 7:10am to 5:40pm (until 6:40pm June to September). 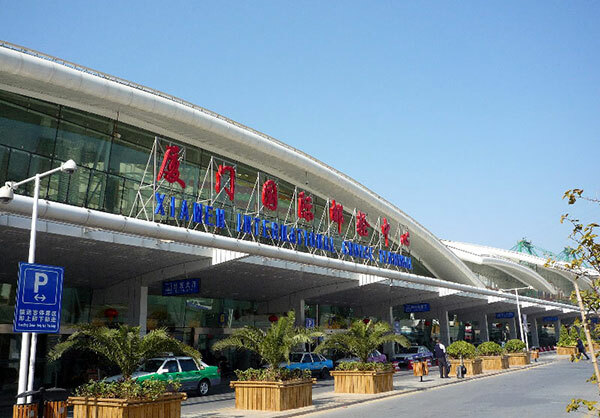 Departs from Xiamen’s Dong Du International Terminal, 2 Donggang Road, Huili District (Xia Men You Lun Zhong Xin, Xia Gu Ma Tou, Dong Du 厦门邮轮中心, 厦鼓码头, 东渡), located on the west side of the island near the Marco Polo and Pan Pacific Hotels. Lands at Nei Cuo Ao terminal (Nei Cuo Ao Ma Tou 内厝澳码头) on Kulangsu Island. The ferry costs 35 元. Tickets must be purchased at the booth beforehand (allow 15 extra minutes for ticket purchase). Ticket booth sells same-day tickets only. The ride takes about 20 minutes. Passports are required for foreigners. Daytime ferries are popular, and space is limited. At peak times, waits for tickets can be up to 1 hour. 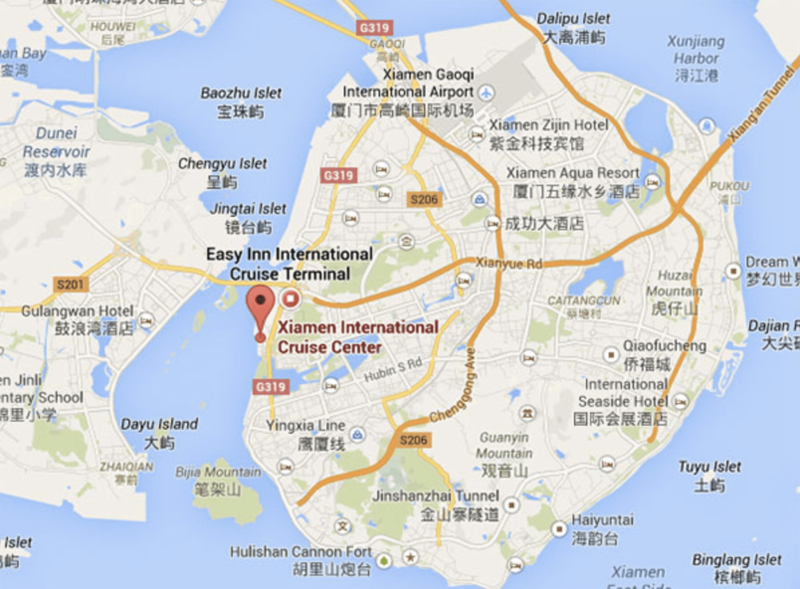 Departs from Xiamen’s Dongdu International Terminal, 2 Donggang Road, Huili District (Xia Men You Lun Zhong Xin, Xia Gu Ma Tou, Dong Du 厦门邮轮中心, 厦鼓码头, 东渡), located on the west side of the island near the Marco Polo and Pan Pacific Hotels. 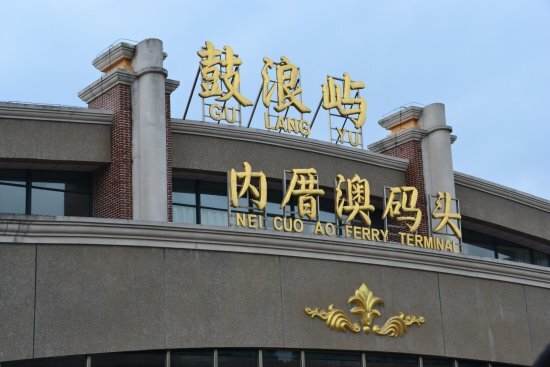 Lands at San Qiu Tian ferry terminal (San Qiu Tian Ma Tou 三丘田码头) in Kulangsu Town.